Outfit: Antia Ferreiro T-Shirt para el desfile de hoy! El otro día os mostrábamos un look muy elegante de Antia Ferreiro (AQUÍ) de su colección 'Red Rose'. ¡Era maravilloso! Como maravillosas son sus camisetas con estampados más informales que hoy os mostramos. ¡Si es que esta chica es super polifacética! No me digáis que esta camiseta no es una monada. Yo elegí está con el perrito, ya sabéis que somos muy fans de los animalitos peludos pero hay muchísimas más (Rocío llevó una AQUÍ) y también para chico. A ver si podemos convencer a los nuestros para que os muestren la que tienen ellos. Y ya que nos fuimos a pasear por un pinar decidimos optar por un look cómodo, con unos shorts y cuñas en tonos tierra. El collar de trapillo es uno de los varios modelos que tenemos a la venta, este es en color amarillo clarito y nos encanta para verano. 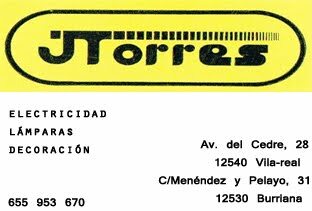 Si vosotras también queréis uno recordad que podéis comprarlos a través de nuestro blog, enviando un mail a inatrendytown@gmail.com. Así que, ¿a qué esperáis para tener vuestros collares con los colores más bonitos del verano?? Last week we showed you a very elegat dress by Antia Ferreiro (HERE) that you loved from her collection 'Red Rose'. It was spectacular! And today we wear one of her beautiful t-shirts. 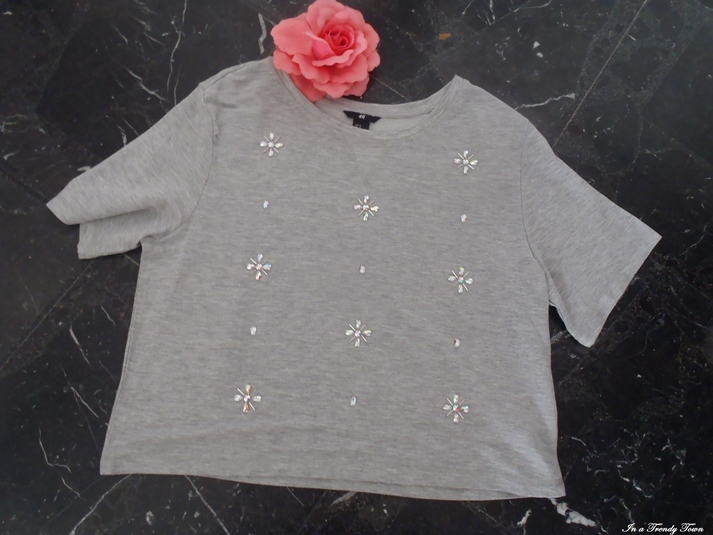 Don't you think this t-shirt is adorable? I chose this because you know we love dogs but there are many other (Rocío has one here) and also for men. If we can convince our boyfriends they will show you the one they have. This outfit is very comfortable because we went for a walk through the wood so brown colors were the best. The neckalace is one of the models we sell, we do them ourselves so if you want some of them send us a mail to inatrendytown@gmail.com. So, what are you waiting for to have your necklace in one of the summer colors? 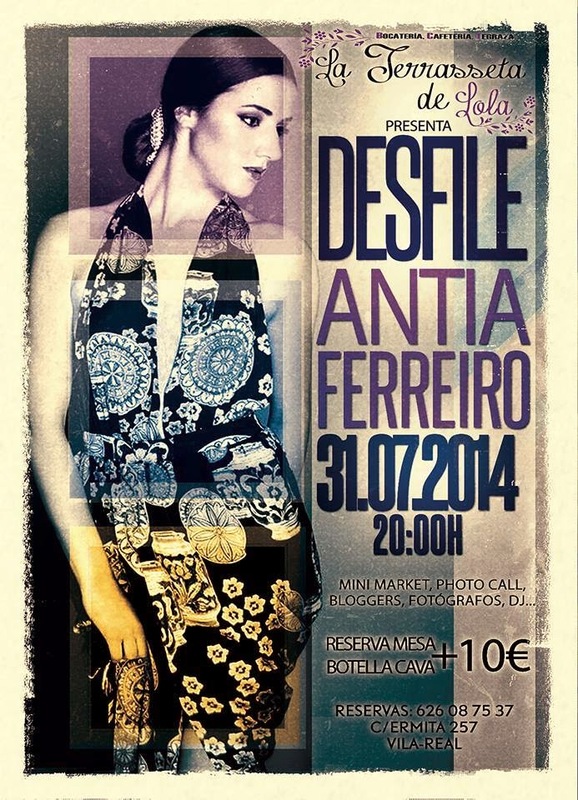 And today we remind you that it is the runway of Antia Ferreiro in La Terraseta de Lola, in Vila-real, at 20h. 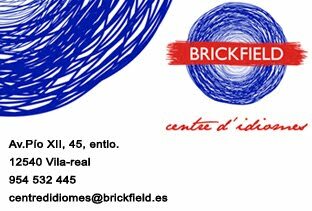 There will be a mini-market, photocall, dj, photographers and all the bloggers from the area, and we will be there of course. Do you want to come along? Good morning! In the middle of the week today we want to show you all the new items we have bought this month of July full of sales in every shop. We love summer clothes, with bright colors, shorts, sandals and beautiful make up. Kimono blanco de encaje de tienda local. ¿No es precioso, preciosísimo? Es, sin duda, una de las prendas del verano y no podíamos no tener el nuestro. Pronto en algún outfit. White kimono from local shop. It is the must-have item this summer and we wanted one. 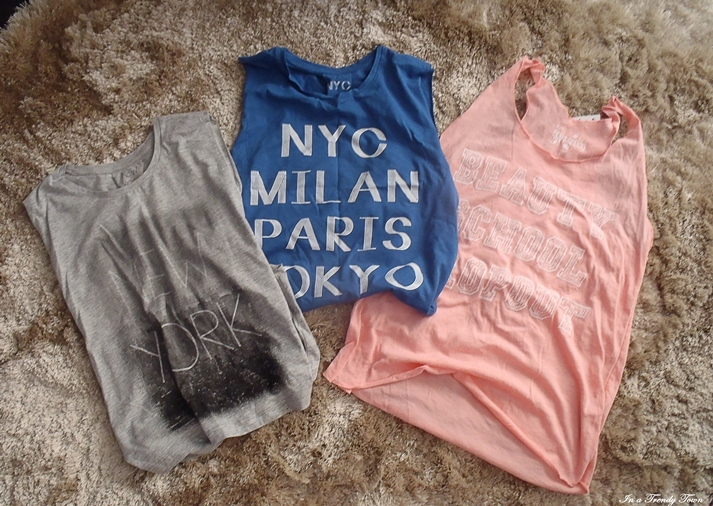 Camiseta y crop tops de Primark. 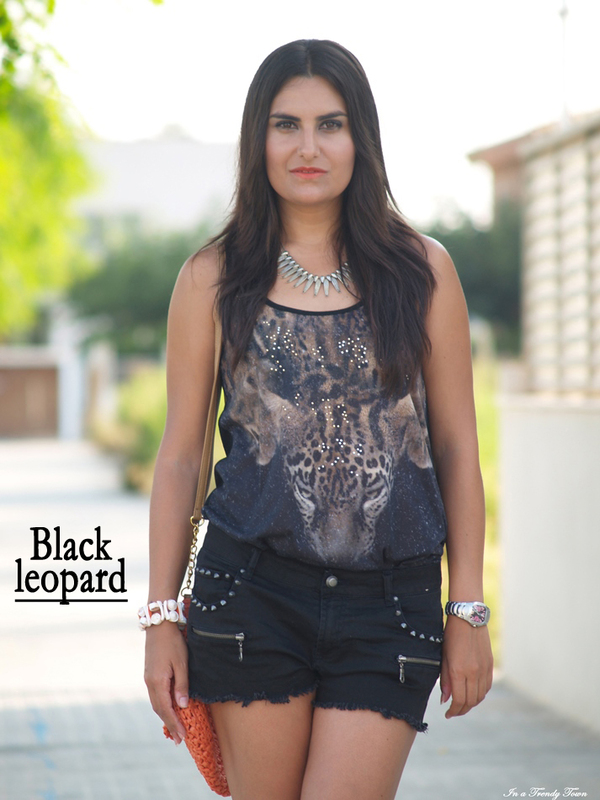 Ideales para nuestros outfits festivaleros de Arenal Sound. ¡3€ cada una! T-shits and crop tops from Primark, perfect for the Arenal Sound Festival and only 3€ each! Camiseta corta con pedrería de H&M. Muy combinable. Deseando llevarla con jeans o faldas de talle alto. T-shirt with details perfect for jeans or high waisted skirts. 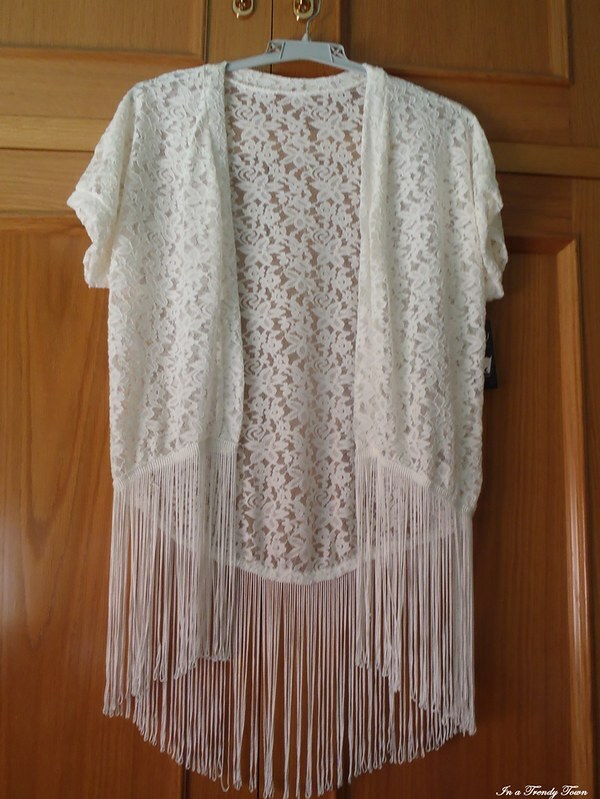 Top crochet con flecos de Monaetes. Como algunas nos lo habéis preguntado, Monaetes es la tienda de Rebeca y Sandra, dos amigas nuestras con muchísimo gusto que abrieron un local comercial en nuestra ‘trendy town’. No podemos parar de llevar sus cositas. 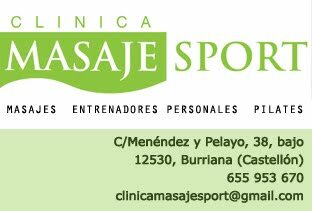 ¡Nos encantan! 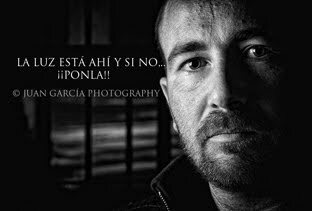 Un saludo chicas. 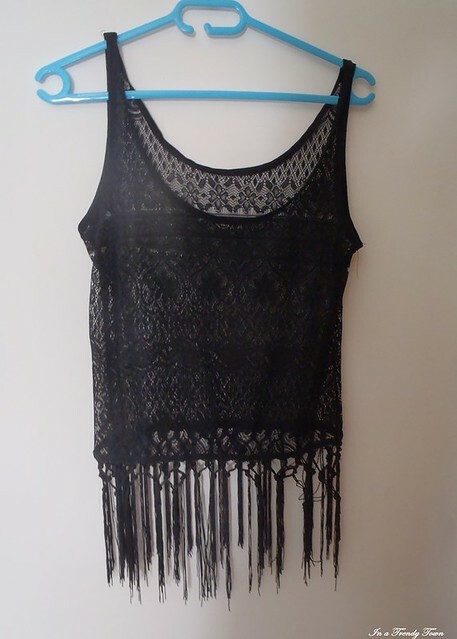 Crochet top from Monaetes. As some of you asked about, this shop is in our town and was opened by two friends. We love their clothes that's why we have so many things from there. Ripped short de talle alto de Beautiful y gafas espejo Miss Hamptons (las vistéis ya AQUÍ). Un conjunto muy festivalero también. 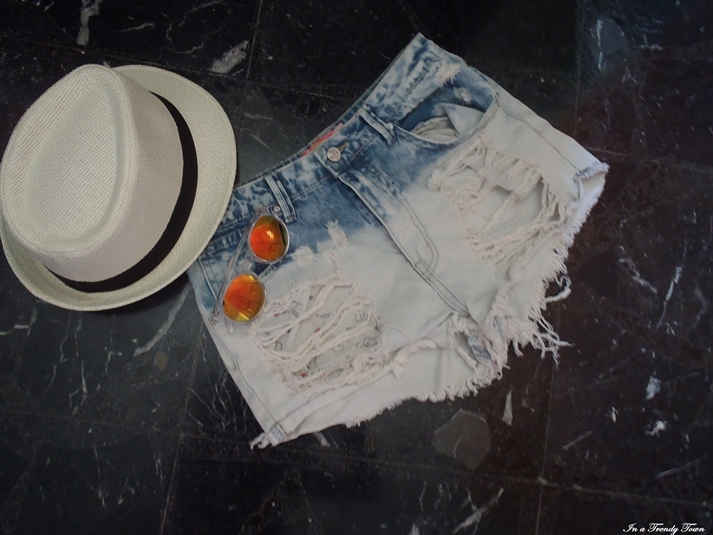 Ripped shorts with high waist from Beautiful and sunglasses from Miss Hamptons. A perfect combo for the festival too. 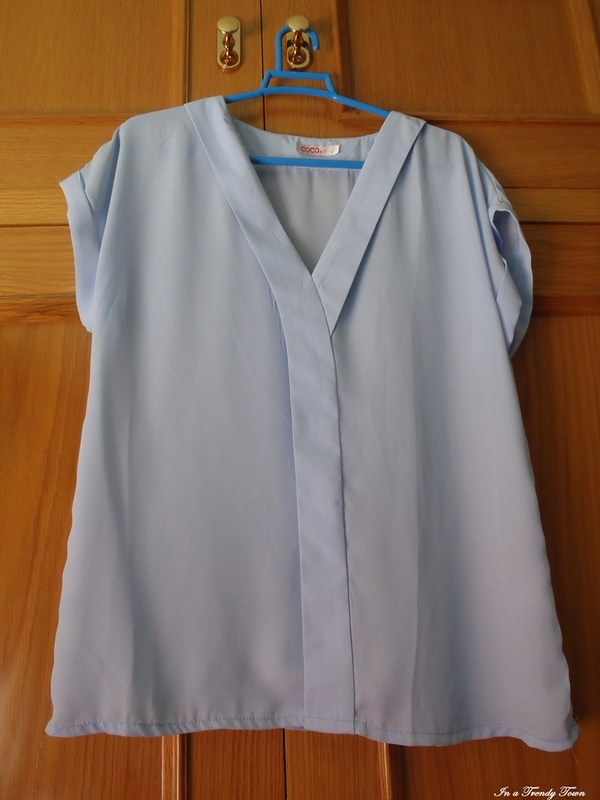 Top de gasa baby blue, también de tienda local. 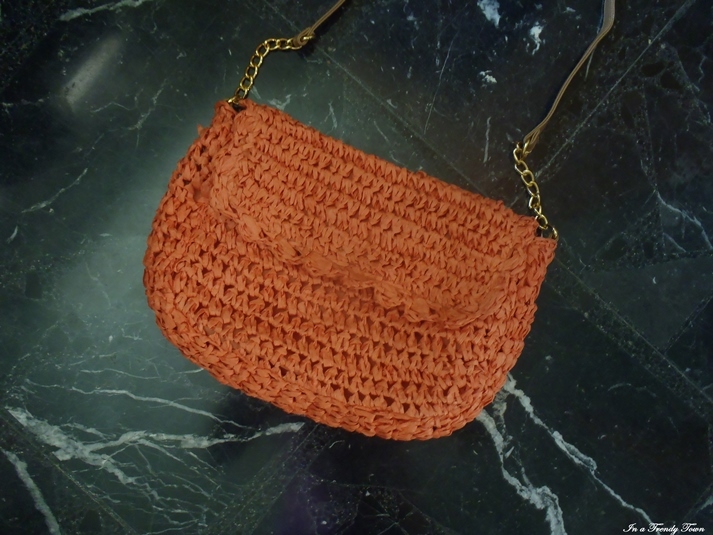 Bag from Primark, we use it a lot because the color is perfect now in summer and it was very cheap. You saw it in here. Short DIY by Vanessa Lorente. 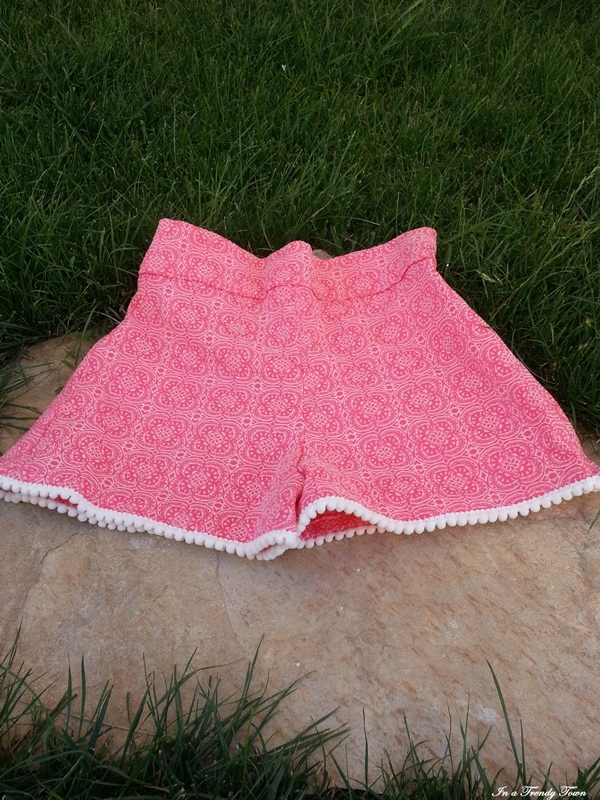 It is not something we bought but we wanted to show you our first result as clothes designers. We love it, don't you? Soon in an outfit. 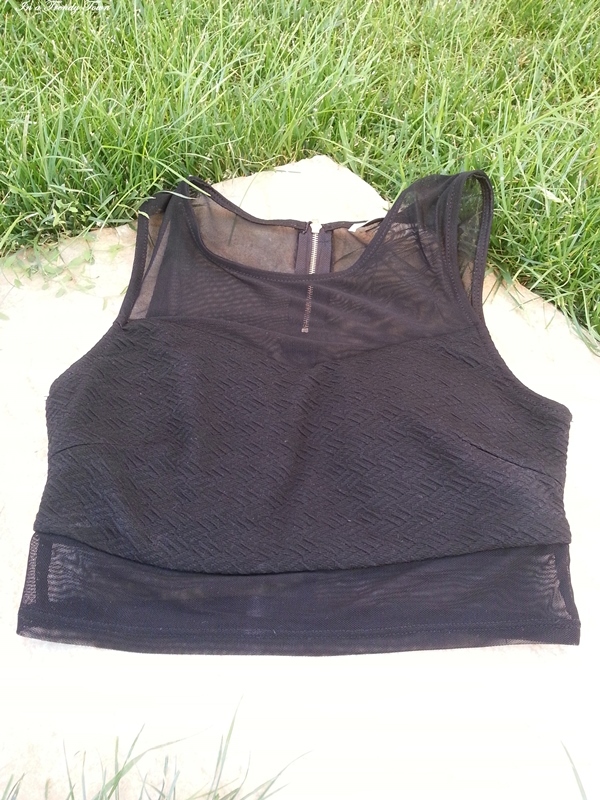 Crop top from Monaetes. You saw it in here. Barra de labios de Astor (Soft Sensation Fucshia Passion núm. 204). Tiene un color muy intenso que nos encanta. En este post (AQUÍ) lo podéis ver aplicado. 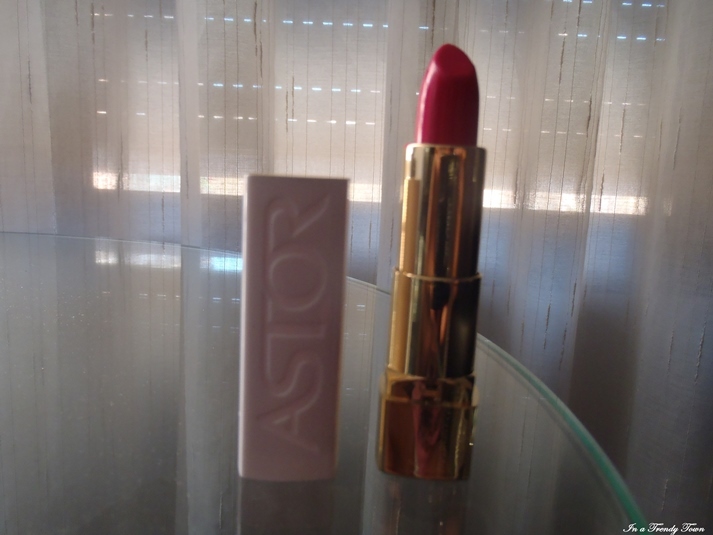 Lipstick fro Astor (Sof sensation fucshia Passion nº204) We love the color. Jumpsuit in yellow with dots from Pretty Things. We wore it yesterday in our post here. What do you think about our new items? Have you been buying in the sales? Kisses and enjoy the day. En esta semana festivalera, con el Arenal Sound en nuestra ‘trendy town’ en marcha, os mostramos un look ideal para un evento así. No faltan unas cuñas para subir unos centímetros y poder ver los conciertos desde una altura normal, y el mono que es nuestra prenda favorita. En amarillo con lunares muy flamenco y favorecedor con la piel bronceada. Además el toque floral en el pelo y el bolso pequeño son ideales para ir cómoda. Feliz semana sounders! In this festival week, with the Arenal Sound in our ‘trendy town’, we show you a perfect look with wedges to see better the concerts, the playsuit that we love always and this has a Spanish touch with dots and yellow color, lovely with the tanned skin. Floral hair accesorise and little bag, nice to be comfy. Happy week sounders!